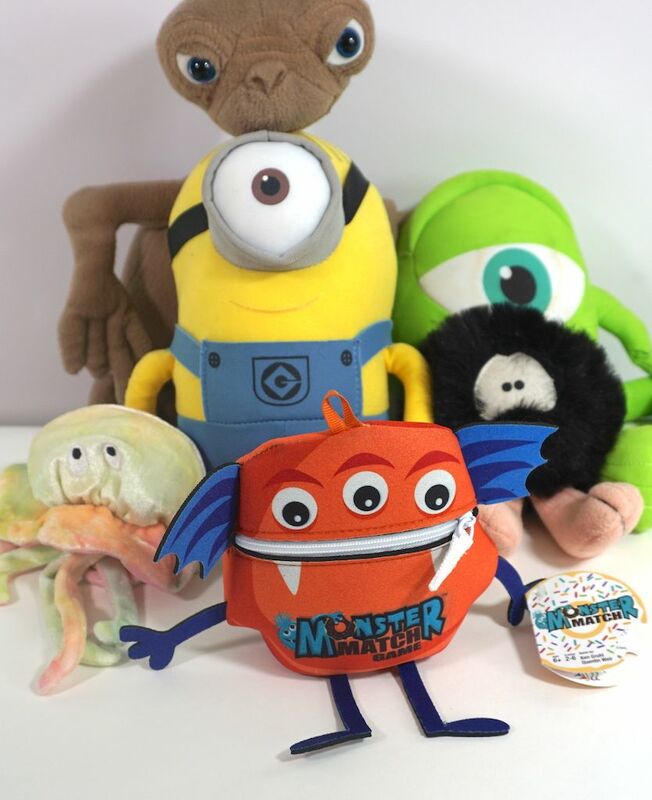 Monster Match – Can you do the Match? 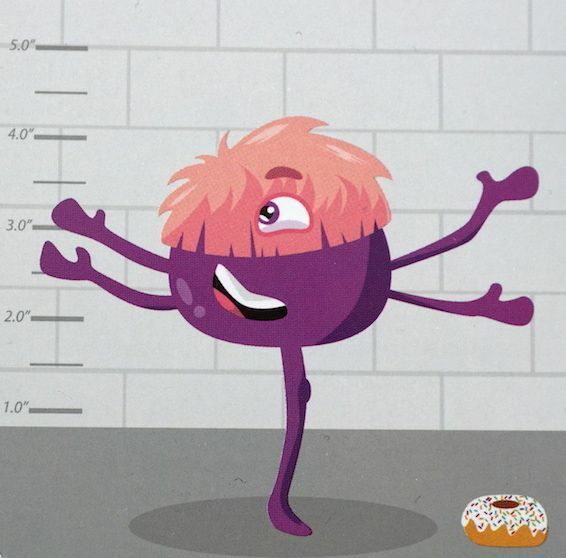 The bakers in Sprinkleton have a big problem – monsters keep stealing all their donuts! Can you pick out the suspects and help the bakers recover their donuts? Have you seen this monster? Monster Match is a new collaboration from the team that brought us Happy Salmon – designers Ken Gruhl & Quentin Weir, with art by Linda DeSantis. 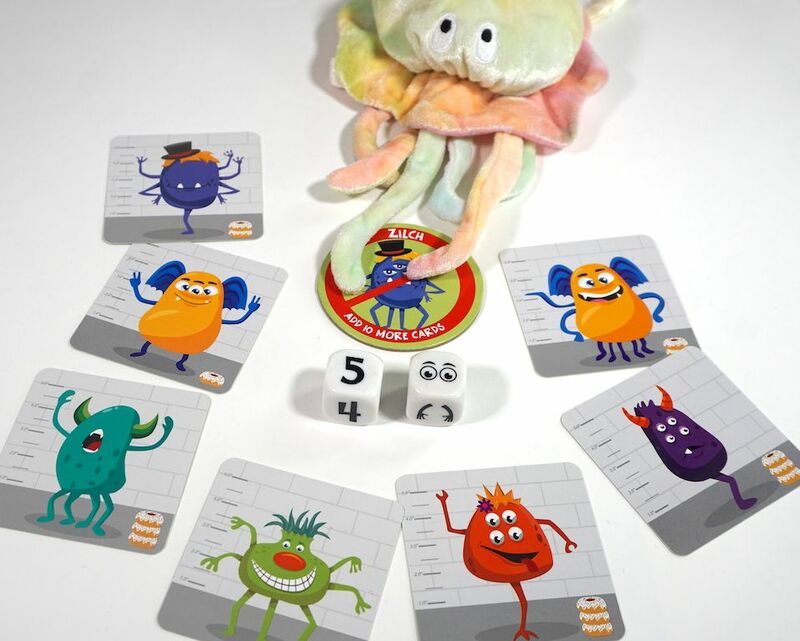 As with Happy Salmon, Monster Match is part of the new Happy Planet line from North Star Games. While picking out suspects from a line-up seems rather dark for a children’s game, Monster Match is actually a light speed/matching game. 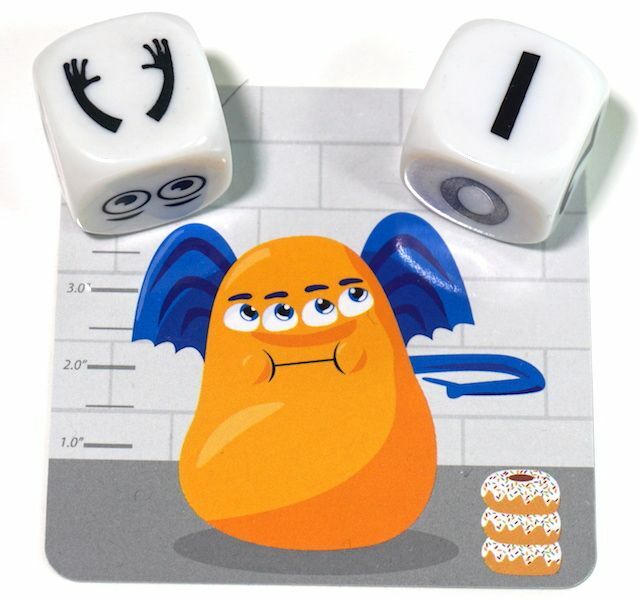 It’s amusing to say “Officer, the culprit had 3 eyes,” but let’s instead frame it as finding any monster that matches the dice roll. Who has one arm? This guy. Every player looks for a monster tile that matches this description and then claims it by putting their finger(s) on it. Once every player has claimed a monster (or there are no matching monsters left), the round ends. Each player takes the monster tile they claimed, and the dice pass to the next “baker”. 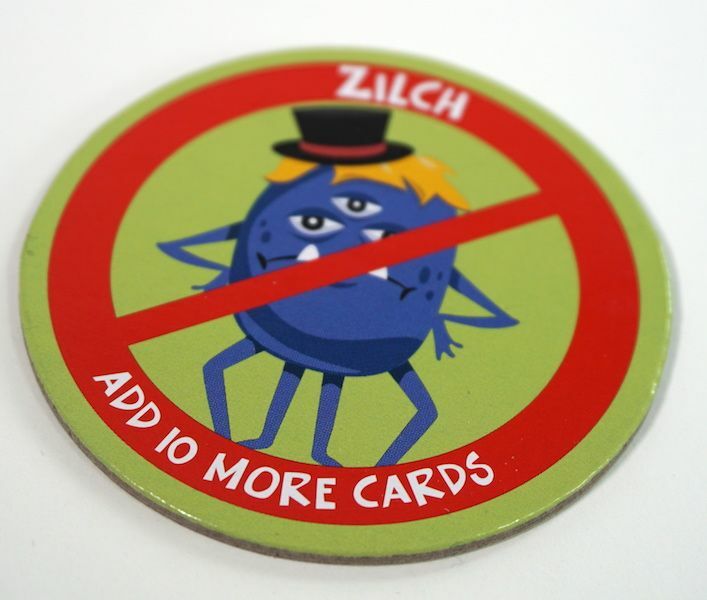 If no matches can be found, players grab for the “Zilch” token. The first player to grab Zilch will get a reward – assuming they were correct, of course. After it is confirmed that no matching monsters are out, 10 new monster tiles are taken from the deck and added to the table. Then the player who grabbed Zilch first gets the top tile from the deck to add to their own score pile. Don’t go too fast! If you make a mistake (claiming a monster that doesn’t match, or claiming Zilch when a matching monster is available), you’ll pay a penalty. Instead of gaining a monster tile this turn, you’ll take the top tile from your score pile and return it to the table. When the monster deck runs out, play immediately ends. Then each player looks at their score pile. 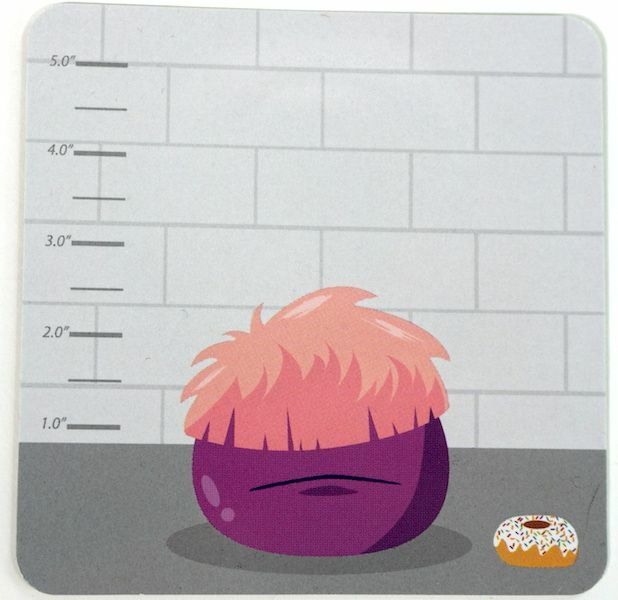 Each monster tile has 1-3 donuts pictured on it. The total number of donuts on your tiles is your final score. Monster Match is a rare find – a speed game that doesn’t shut out slower players, a game that can be used either to gently teach or played cut-throat competitively. No arms, no legs, no eyes, no problem! 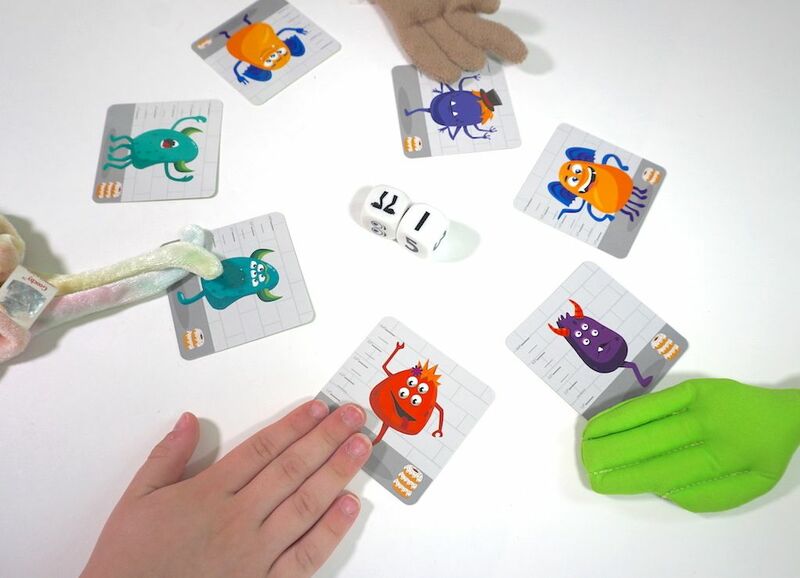 We’ve used Monster Match as a tool to practice number recognition with our youngest child; but this use is best for two-player games, as the frantic pace at higher player counts defeats the purpose. Linda DeSantis’s art strikes just the right note: friendly and silly, continuing the “lineup” theme on the background of each tile. 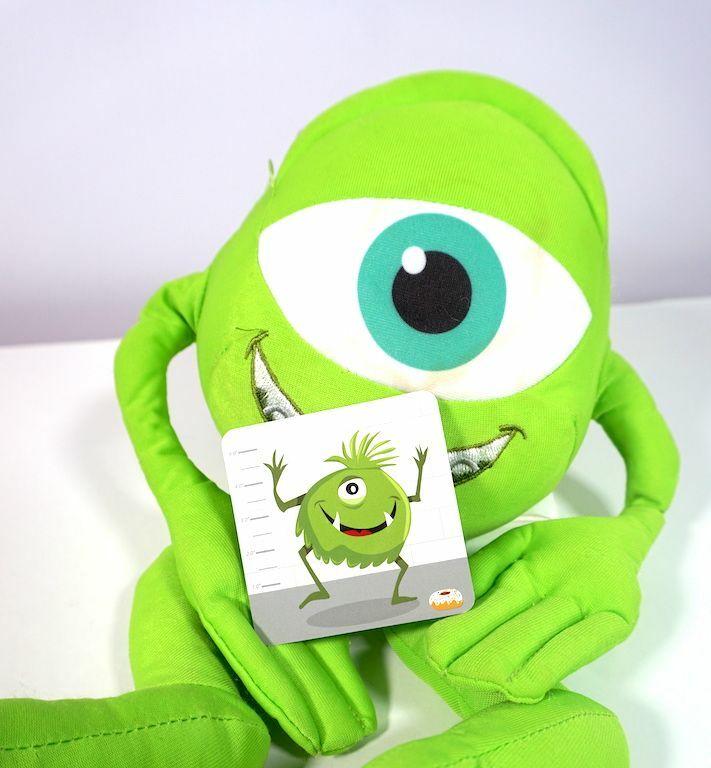 The monster features are clear and easy to distinguish (although some are designed to fool you at first glance). This is probably the cutest Happy Planet game yet, and still only a bit bigger than a standard deck of cards. Who wouldn’t want to take him home? Monster Match is available for under $20 from the North Star Games website or on Amazon. The Family Gamers received a promotional copy of Monster Match for this review.